Putin@war: Was Ukrainian BUK 312 stolen by Russian (proxy) terrorists? Desperate Russians try every single remote option to avoid the inevitable: that they have to admit that they shot down MH17 with their own BUK. So the latest fashion is to claim that it was Ukrainian BUK 312 that shot MH17 down. This implies it must have been stolen, because the launch location is known and that area was and still is in Russian control. This should be sufficient actually, but nevertheless, I will address the other issues here as well. These photos are from an incident in March 2014 as is reported (for instance) on this VK-site. The truck may APPEAR similar, but it definitely is NOT the same truck. These photos are therefore UNRELATED to the MH17 incident. Due to the publicity it got, it has already been removed (by the Russian FSB of course)! This fact alone proofs that Russia is guilty and actively trying to hide or blur it's own involvement. Yet, even though the photo has been removed from the album, it is still on the VK-servers. And a direct link to it still reveals it. Link to VK-photo. Link to original photo. Link to archived photo. The upload date is August 17th. Which means the photo must have been taken on or before that date. It is shot from almost the same position with the camera turned to the left. The Ukrainian soldier who posted these photos has an album with a lot of photos showing his involvement in the army. He has visited several locations in the conflict area, as indicated by some geotagged photos. There is a whole bunch of Aug. 17th photos. It looks like he took the photos earlier on several locations and he uploaded them on that date when he had time and a (good) internet connection. 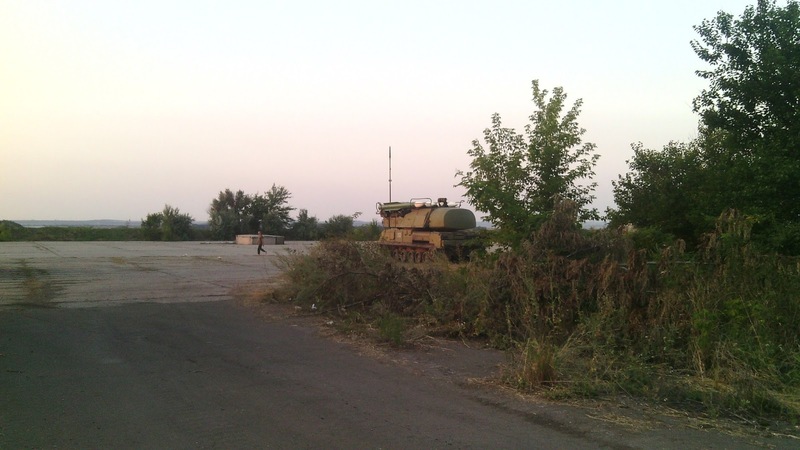 Thus, likely the BUK photo has been taken earlier than the upload date. 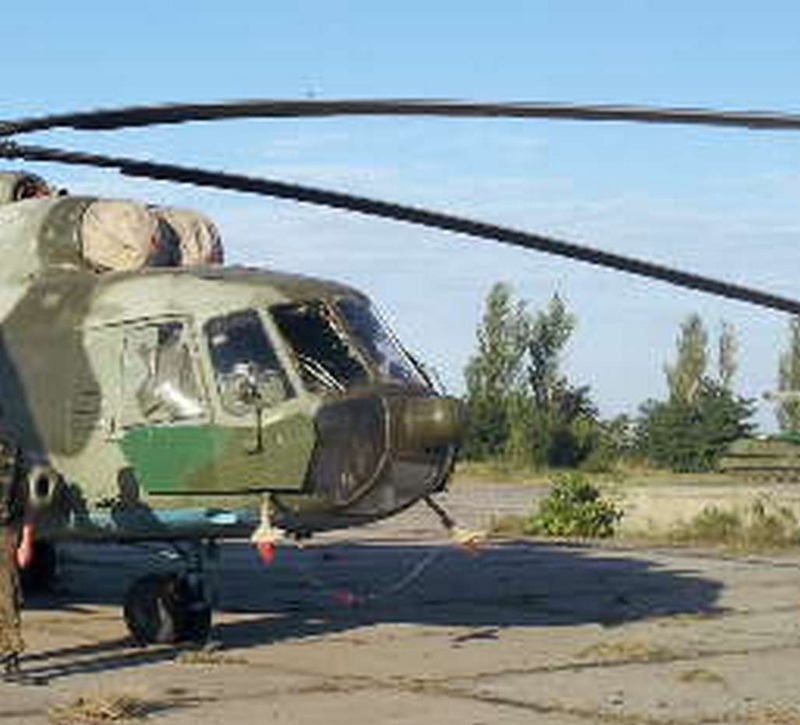 On this blog it is suggested that both BUK photos may have been taken on Kramatorsk airport. When we investigate this suggestion, we can confirm beyond any reasonable doubt that this is the correct location. Amazing is that on the August 20th satellite image the BUK is at exactly the position as in the photo! The only thing that does not match are the helicopters. But comparing several dates of satellite images show that the helicopters have different positions every date. It means that they are being used and go and come back to their positions. Thus the photos have been taken when the helicopters where away on flights. More proof that the location is absolutely correct. This image is of a better quality than the later one. Clearly the four white tips of the missiles can be distinguished (in line with the orange lines). Proof that this indeed is a BUK. On the background at the right side the BUK is visible. This links the helicopters visible on Google Earth with the BUK. That means the photos must have been taken on or around this date. Since the July 26th image show the BUKs in different positions, the photos must have been taken anywhere from that date. And since the photo was uploaded on August 17th, it therefore must have been taken between July 27th and August 17th. 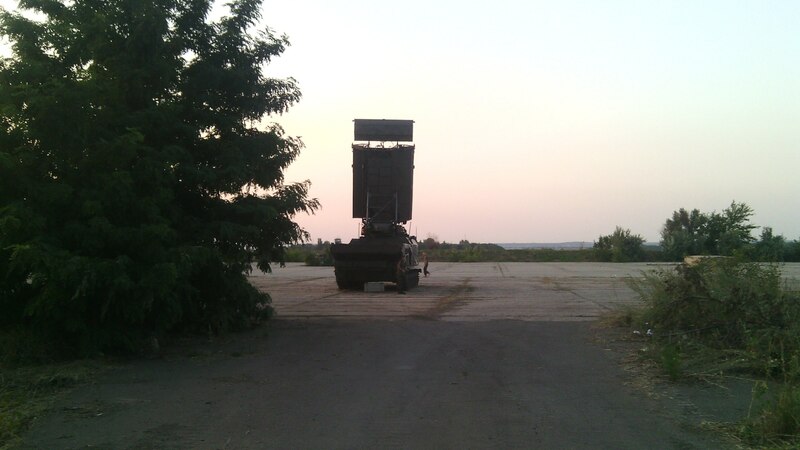 UA BUK 312 has been spotted on Kramatorsk airfield beginning of August. It can already be seen there since July 23rd. That shows it was ALL THE TIME in Ukrainian possession and control. So all suggestions from the Russians that this Ukrainian BUK may have shot down MH17 are just absolete. Or maybe we just ignore their nonsense anyhow, because it does not even deserve our attention?